Which finger Bill? Don't worry though, dried blood does a good job if you run out of Balsaloc! So Racing green it is . Hopefully it will be ready soon . p.s. are we the only two building this pretty little plane? I've got the bits ready to do it, will start it as soon as I can. I'm surprised though we're not seeing more having a go yet, probably to do with finishing other projects first, which is my reason. I am at the point of pondering what to do and how to go about it . I could not decide which one or two motors to use , So for now i have one up front which i think is 120 watt motor i will see how that goes then i have a small high speed 2600 kv motor to go on the back . So at this point i can not decide if i should make the cockpit removable . And i would agree with you in the fact the battery bay is a bit flexible considering that is the point in which one needs to hold the model for launch . I may make a launch Dolly . Twin motors should be able to give me 240 watts of power but with one motor going clockwise and the other going anti clockwise , which should counter act any torque . And yes there is a good reason why i made the body wider , I have played with a few Canards in the past and discovered a inherent problem with them , which i am hoping to resolve . But i am keeping stum so as not to end up with egg on my face if it does not work . Fascinating stuff. Have a heart Bill, I've always been a bit slow. sorry colin patience is something I am learning with this hobby... Stephen I am a little worried is there something I should know? something you are keeping to yourself eh! I have just started cutting balsa for an attempt at this. I was wondering if anyone has any ideas why the fins are where they are? I am concidering moving them outboard a little to where the wingtip join is. This way they will be clear of the elevon position and will also strengthen this joint. Any ideas? Cliff, with this lay-out, my natural inclination would be to put them at the wing-tips. However, Nigel knows what he's doing, perhaps he will comment on this? I'm interested in his thoughts about making the foreplane all-flying and when I do mine, I might have a go at that. Yes im sure Nigel knows his stuff, I just thought it would be easier. If you look in my photos I have another canard with fins near the tips and this gives no problems. wing flutter etc and that too is a flat plate wing. Incidently that also has a small elevator on the foreplane and this is more than adequate, ( loops on a sixpence ) so im not sure a flying foreplane would be worth the effort. Might be interesting though! I await to see any developments you make with interest. 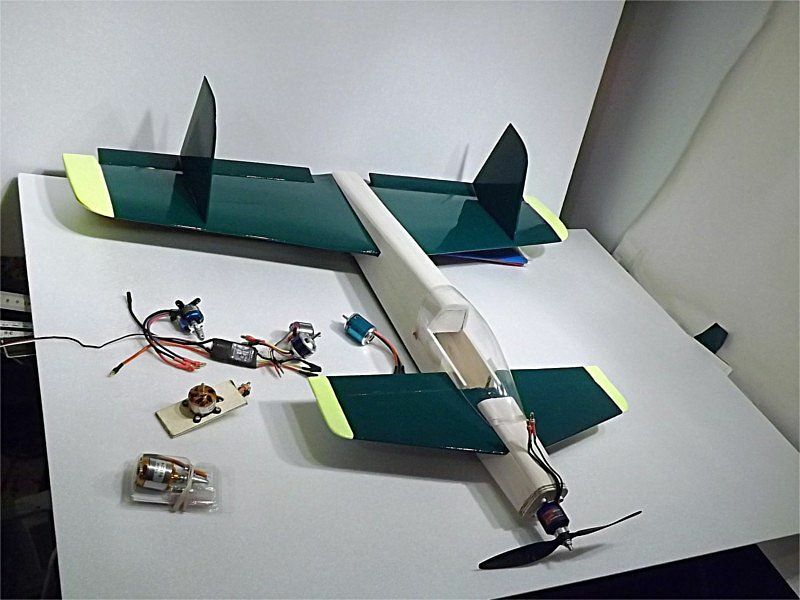 As you have already flown a Canard with the fins on the wing tips it would suggest that there is no reason why you could not do the same on this model . I can only think that Nigel put them there to prevent accidental damage or to aid looks , Wing lets usually improve the performance of the wing . And i can see no improvement by making the foreplane a tilting one . so a tilting foreplane would in theory have less drag . 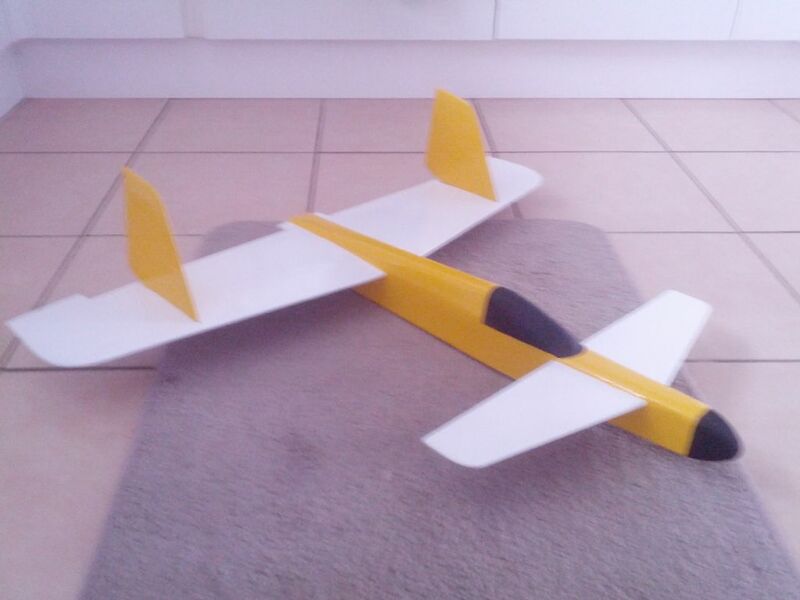 But due to the gap between the foreplane and the fuselage there would be more drag created . On a model anyway as we could not get them to work with the precision needed . No there is nothing i am keeping from you in regards to the flying of canards as small models . It is just in my experience with Canards they are happy to fly at a fixed speed due to the nature of there setup . 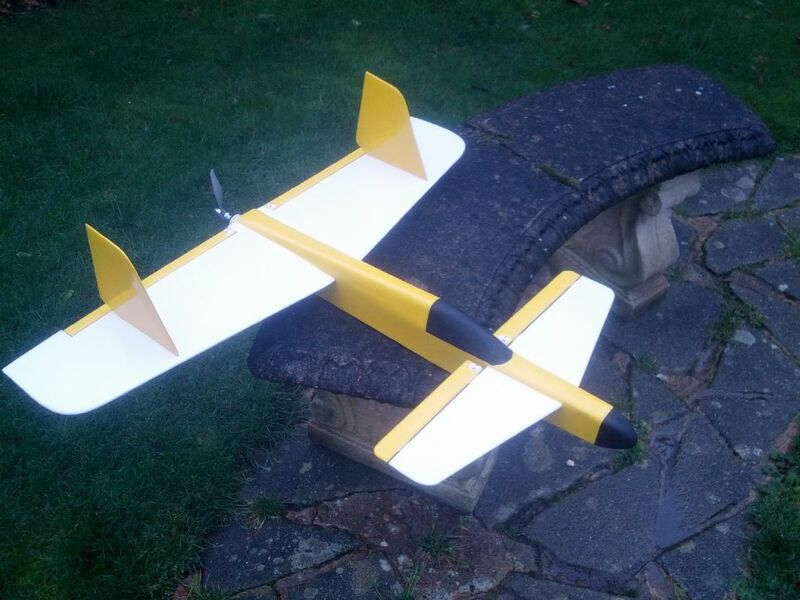 The foreplane is designed to stall before the main wing inorder to correct its flight . So by nature you can only fly at the speeds that the foreplane will cope with , so going slower or faster creates its own problems . Stephen. I wouldn't disagree with your thoughts on an all-flying foreplane, it's hard to see how it would offer any improvement and it certainly wouldn't need much movement! However, I think I might try it anyway, just for the sake of it. At the least, it will be interesting. (As Cliff said)! Its just my experience but my canard is happy at quite a wide speed range from a walking pace to fast. I think I have read somewhere that it depends on wether it is a lifting canard or not but I dont really know. I note that on can do the canard is set at 3 degrees so I asume it is a lifting one as is my canard. Ordered the `Can-Doo power package` from 4-Max; it has arrived safe and well with a very quick turnaround. I will now wait a longer before starting the construction in order to read the `pioneers` mods and tips in this thread. Will also be interested to see what the EDF version looks like and may well have a go at that too. Have a few repairs to finish off in the meantime, plus starting the covering on my Magnatilla (Solartex).